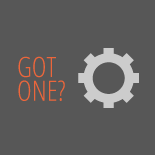 Pros: Amazingly bright. No cables no external batteries, light, easy to mount to the handle bar mount, adjustable right to left. Great customer service. Pros: No cords, lightweight, long burn time at full strength and basically a bullet proof design. LED life is very long with a lifetime warranty. Cons: Limited distribution in the states. When riding home from the trails..constantly get flashed by motorists that think I'm a motorcycle with Xenons on high! Recommendation: One of the last lights you'll ever need. Easy bores a hole into the darkest nights and when combined with a powerful helmet light, you can ride at higher speeds 25+. Bright enough to give depth of field and cast a good shadow so you can discern the contours ahead. All my nightriding buddies want one. 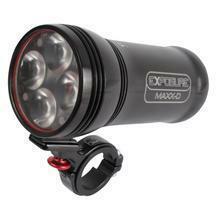 Exposure Lights MAXX-D 5.00 out of 5 based on 2 ratings. 2 user reviews.